Global 6sigma.com offers Lean Six Sigma Certification and Training courses in: White Belt, Yellow Belt, Green Belt, Black Belt and Master Black Belt. Global 6 Sigma also offers Certification and Training courses in Winnipeg, Manitoba, Canada: Lean Six Sigma, Design for Six Sigma, Green Process Management and Minitab. 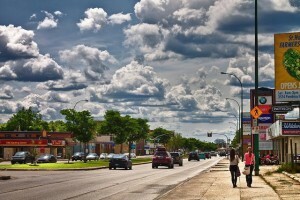 Winnipeg is one of those Canadian regions the economy of which operates at a stable rate and a very high capacity. The unemployment rate of 5.9 percent was much lower than the national average but it increased marginally by the end of 2013. This has caused the rekindling of the issue of youth unemployment in the area and has caused a significant amount of unease to a number of applying candidates. Joblessness can sometimes also lead to the erosion of any individual’s specific skills. This aspect of the fluctuating employment and unemployment rates of different areas in Canada causes the knowledge and skills gained through the education system to slowly fade with time, since there are very less opportunities where youngsters can crystallize their skill sets into professional abilities. Lean Six Sigma Training can help individuals gain knowledge and training to enhance their professional skills in a way that makes them a highly desirable job candidate for any organization. From fairly simple monitoring duties to sophisticated manufacturing design, a Lean 6Sigma training certificate can virtually be useful for any company from any industry to enhance the workings of any procedure or job. Below are listed some of the most common industries where a Lean 6Sigma Certification can get you all the tools you will need for success. This is an area where a Lean 6Sigma Certificate can perhaps be of the utmost importance when it comes to getting hired. Analyzing the methods and products, identifying any problems or defects, and coming up with highly concrete solutions are some of the most essential areas of manufacturing. The Lean 6Sigma Training will enable you to perform these tasks in a much more efficient manner, within the designated time frame. This industry involves a massive amount of diverse processes that culminate into a sole service. Ranging from inventory to customer services expertise, the training program can help you achieve an edge over other candidates. You will be equipped to identify any gaps in the service in question and make tasks more effectual. Acquiring a Lean 6Sigma Certification can help you reach your career goals faster and more efficiently. This training is the major difference between your average salary and a superior compensation package. Individuals are equipped with all the skills that can help them land a job that pay up to 30% more, along with other benefits for their professional and personal lives. The office space which is based on the 18th floor of the most prestigious building in Winnipeg, 201 Portage Avenue combines stunning architecture and modern style to create an elegant and upmarket corporate office environment. 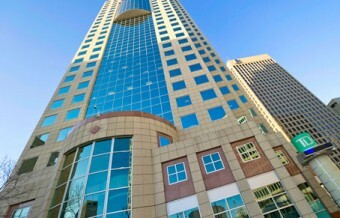 Located at the historic corner of Portage and Main in the Exchange district, the building also boasts a fitness club on the 7th floor for clients. Capital of the province of Manitoba, Winnipeg is a major transportation hub and has railway connections to the United States and Eastern and Western Canada. The city has one of the fastest growing economies among the country's major cities and has a diverse range of business sectors including finance, manufacturing, culture and tourism. Major employers are government and government-funded institutions. The city has also been rated as one of the least expensive locations to do business in Canada.